THIS GORGEOUS 2017 LINCOLN MKZ RESERVE AWD WITH THE TURBOCHARGED 3.0L GTDI ENGINE OFFERS INTUITIVE TECHNOLOGY, EFFORTLESS PERFORMANCE, AND DISTINCTIVE DESIGN. A LOCAL NEW FORD TRADE THAT WE SOLD IN 2017, YOU CAN BE ASSURED THIS PRISTINE LINCOLN HAS BEEN METICULOUSLY CARED FOR AND HAS A CLEAN CARFAX, SHOWING THE DETAILED SERVICE HISTORY AT OUR DEALERSHIP. 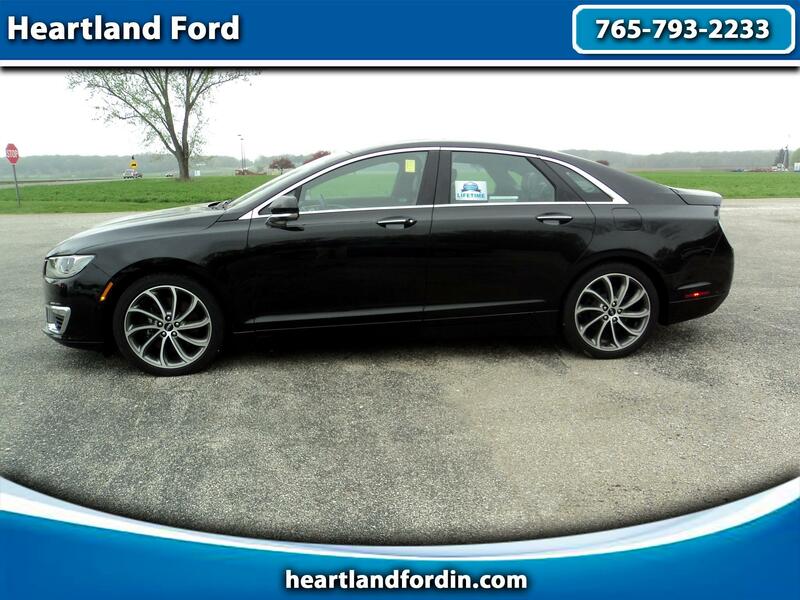 WITH 400 HP, THIS LINCOLN MKZ RESERVE AWD WILL PUT A SMILE ON YOUR FACE EVERY TIME YOU GET BEHIND THE STEERING WHEEL. THIS CAR IS LOADED WITH EQUIPMENT, LIKE POWER MOONROOF, HEATED & COOLED LEATHER SEATS, REAR HEATED SEATS, TECHNOLOGY PACKAGE, LUXURY PACKAGE, LED ADAPTIVE HEADLAMPS, ADAPTIVE CRUISE CONTROL, REVEL ULTIMA AUDIO SYSTEM, DRIVERS SPORT PACKAGE, 19' POLISHED ALLOY WHEELS, NAVIGATION, REAR CAMERA, ETC. THIS CAR IS A MUST SEE AND DRIVE!! ALSO INCLUDED IS OUR EXCLUSIVE HEARTLAND FORD LIFETIME LIMITED POWERTRAIN WARRANTY FOR A LIFETIME OF WORRY FREE OWNERSHIP. CALL TODAY AND SCHEDULE YOUR TEST DRIVE!